When we have a goal in mind, one of the most important factors involved in reaching that goal is our motivation to do so. First getting motivated, then staying motivated. 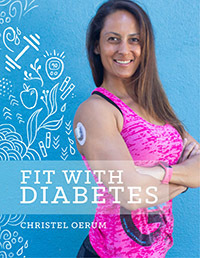 Over the years of both my own personal transformation from obese, clinically depressed, and having an eating disorder, to a happy, healthy, athlete living with type 1 diabetes, and having the pleasure of working with thousands of people motivated to reach a variety of diabetes-related health goals, I’ve identified some patterns that when recognized allow us to truly understand motivation and how to keep it going in a sustainable way throughout our health journeys. In its simplest form, motivation is the initial aspiration to achieve a goal, combined with the belief that we can do so. Usually, motivation comes from one of two places: inspiration or desperation. Either we are inspired to reach the next level in our lives because we feel ready to learn and grow, or we are so sick and tired of the state of things as they stand that we are desperate to change our circumstances. Motivation also includes the reasons we want to do something, our desire to achieve something, and our general willingness to get it done. No matter how we define it, motivation plays a key role in enacting sustainable change. How Do We Sustain Motivation? When we are working on a large-scale goal that will likely take three or more months to achieve, the best way to sustain motivation is to set smaller, achievable goals along the way. By doing so, we train our brains to look for the small wins which sustain our motivation towards the bigger wins. These benchmark goals along the way must be specific, measurable, attainable, relevant, and time-bound in order to be effective! For example, if you want to lose 20 pounds, a smaller, achievable goal would be to lose 1-2 pounds per week until you’ve reached the bigger goal of 20 pounds. 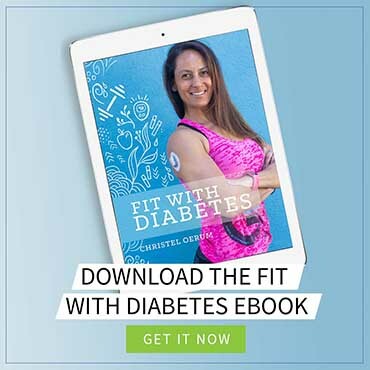 Editors note: You can read more about goal setting in my first post from the Fit With Diabetes Challenge about How to set Realistic Fitness and Diabetes Goals and Find Your Positive Motivation. The other important aspect of making the practice of motivation a habitual part of our lives is actively, consciously, and intentionally identifying our major distractions. These could include watching TV, surfing the internet (social media, YouTube), playing online/app games, and many others. Other distractions include excessive substance consumption such as alcohol, cigarettes, food, etc. The average American watches five hours of TV per day, which over a year adds up to more than 76 days (20% of the year) of sitting still and staring at a screen, and that doesn’t include time spent on a computer! If we want to sustain our motivation on our health journeys, we MUST address where our time is being spent currently, and come up with a specific plan on how we will reduce the time we spend on distractions that take us further away from our goals instead of motivating us to move towards them. Once you take the time to identify your distractions and set your smaller, achievable goals along the way to reaching your bigger goal, it’s time to celebrate! In order to get and stay motivated, we MUST allow ourselves to celebrate every single day. We must celebrate our efforts (no matter how big or small), our wins, and even our losses, especially when they come from the effort we put forth to take our health to the next level. The way we choose to celebrate doesn’t have to be complicated or cost a single dollar. Some suggestions include putting on your favorite song that gets you hyped up, turning it up, and singing along full blast in your car, or blasting that song while dancing around your house, or jumping up and down a few times with a huge smile on your face while telling yourself you are awesome and that you’re proud of your efforts. If you want to take it a little further now and then, celebration could be a manicure, pedicure, a new book, journal, or clothing item. The only thing that really matters during your chosen act of celebration is that you intentionally tell yourself you feel proud, empowered, confident, and any other positive emotions that come up when we choose to put forth effort to improve our lives. Suggested next post: How to set Realistic Fitness and Diabetes Goals and Find Your Positive Motivation. Daniele Hargenrader is the founder of Diabetes Dominator Coaching, and the bestselling author of Unleash Your Inner Diabetes Dominator. She is a nutritionist with her Bachelor’s degree in Nutrition Science, a Certified Health Coach and Personal Trainer. 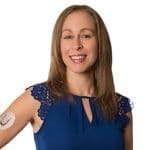 Daniele hosts a diabetes-empowerment focused interview series on YouTube, is an international speaker, has presented at Fortune 100 companies and top-ranked hospitals, and has dedicated herself to teaching people how to live the life they imagined through our powers of choice and self-love.